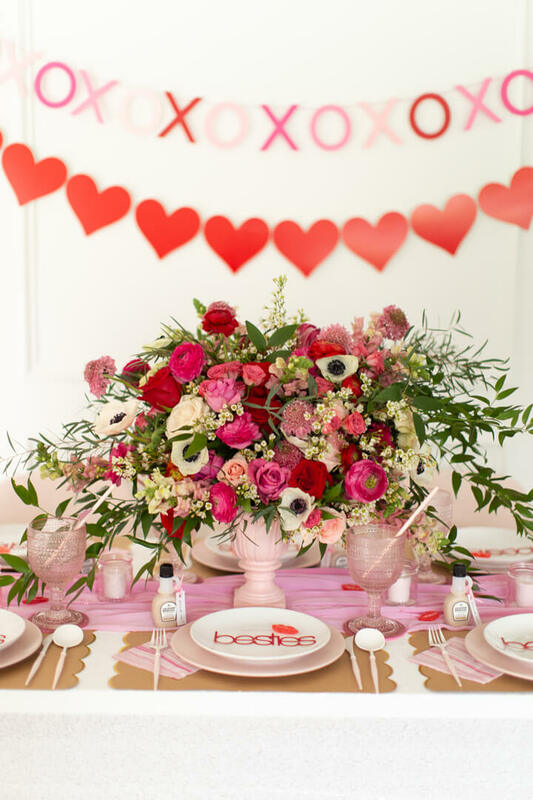 Valentine’s Day is just around the corner, and we are thrilled to share our party roundup. First up, a brand new take on Valentine’s Day by Golden Arrow Event and Design. 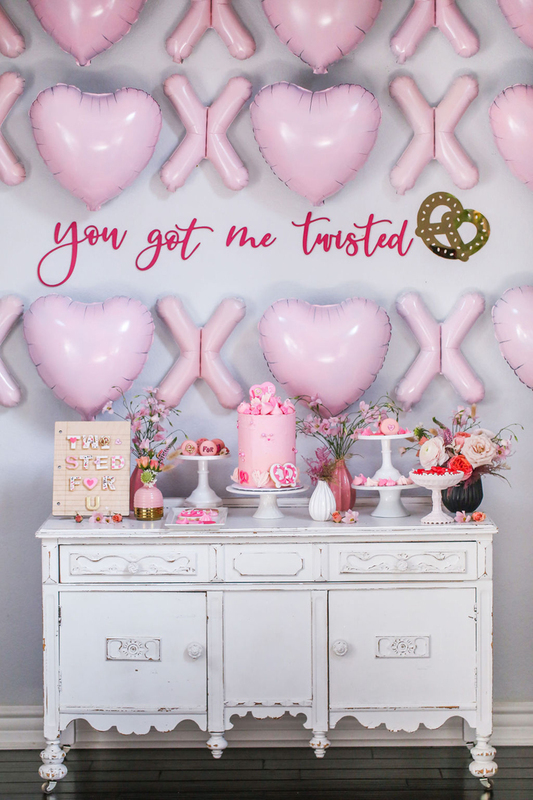 We love the adorable pretzel details and DIY balloon backdrop. Celebrating with the kids? 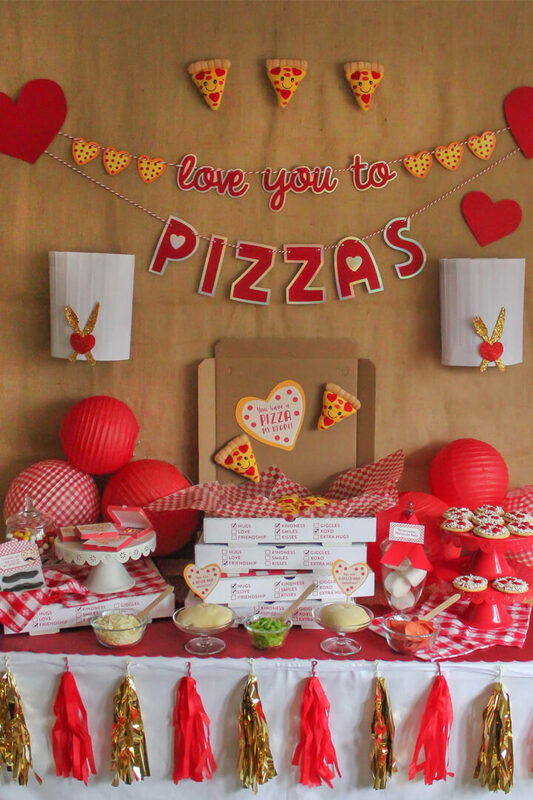 This kids’ party featuring pizzas by Just Add Confetti is an instant classic. Adorable, right? Perfect for the whole family. 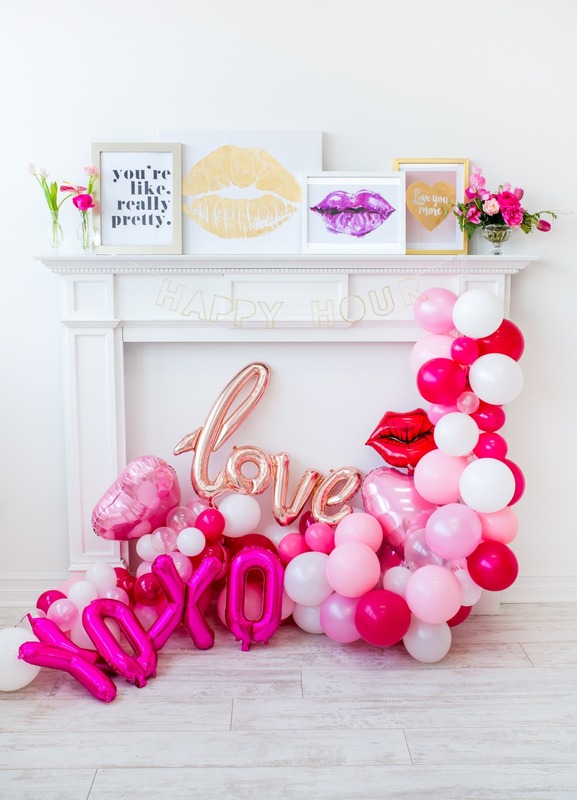 If you are celebrating with girlfriends this year, look to Celebration Stylist’s fabulous new Galentine’s Day party. Those balloons, right? The entire party is a pink dream. 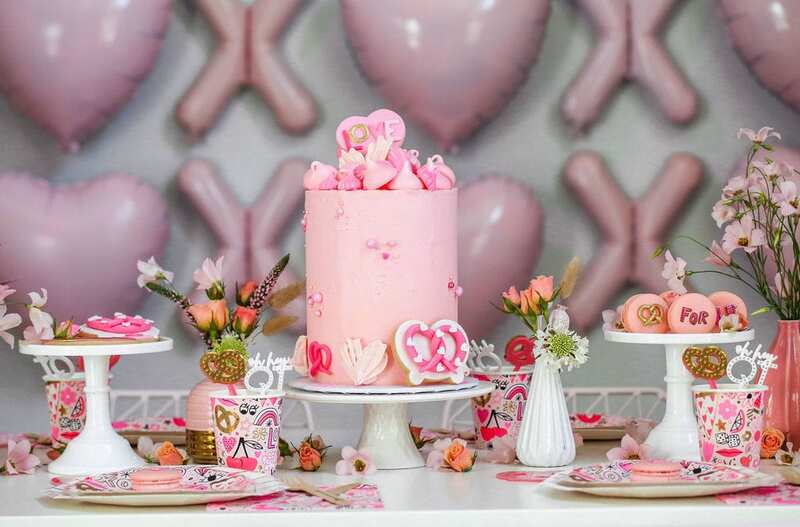 Galentine’s isn’t just for adults – We love this adorable kids’ party from Twinkle Twinkle Little Party. Perfect for a playdate! That backdrop is is truly sweet. Planning a more intimate celebration? 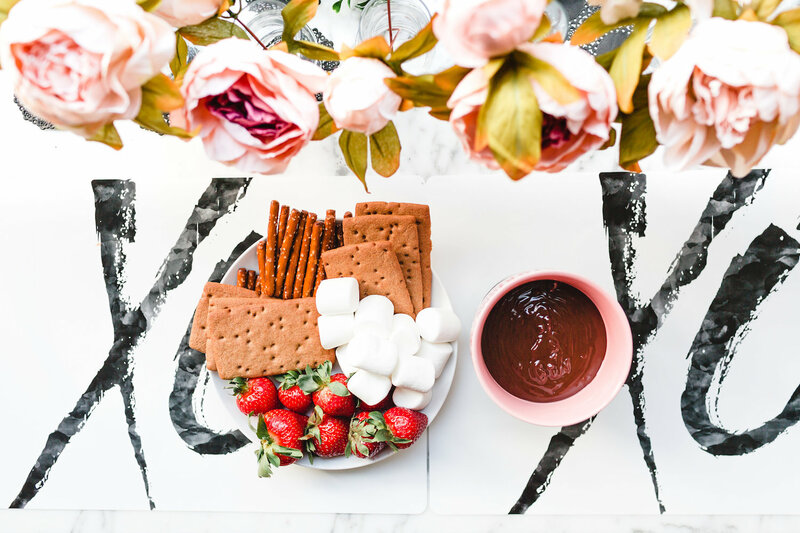 Get in the mood for love with a special dinner for 2, complete with chocolate fondue! 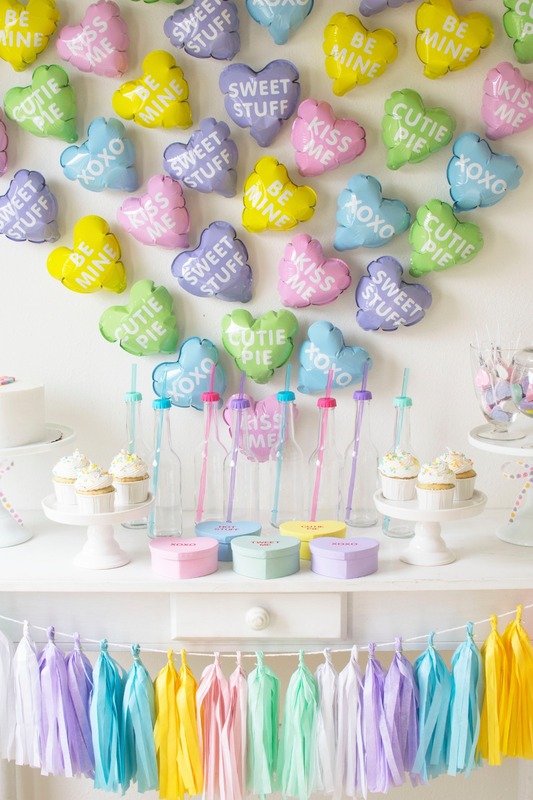 We love a party backdrop that is unique and creative. 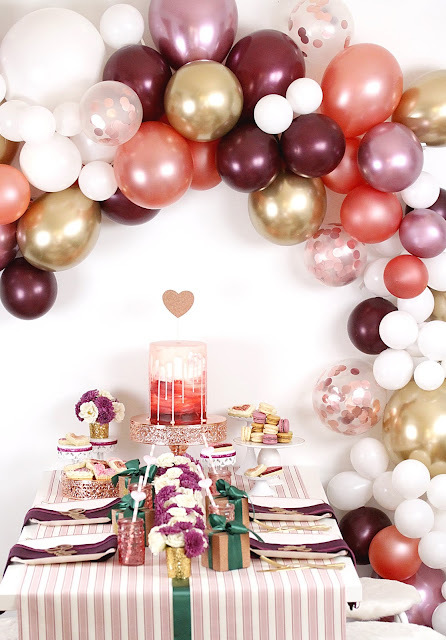 Sarina of Joy in the Commonplace creates the perfect backdrop for her Sprinkled with Love party! Last but not least, Misha of A Lovely Design brings together a romantic and creative color combination into her Valentine’s Day celebration. Using decorative votive holders filled with simple blooms makes for a lovely and simple floral arrangement. Also keeps the florals low for easy conversation. Spice up your napkins by simply stitching a piece of decorative ribbon down one side! Every party doesn’t necessarily need a separate dessert table. For smaller gatherings, display your desserts at the end of the table for a lovely tablescape! We hope you are feeling the love this Valentine’s Day season!